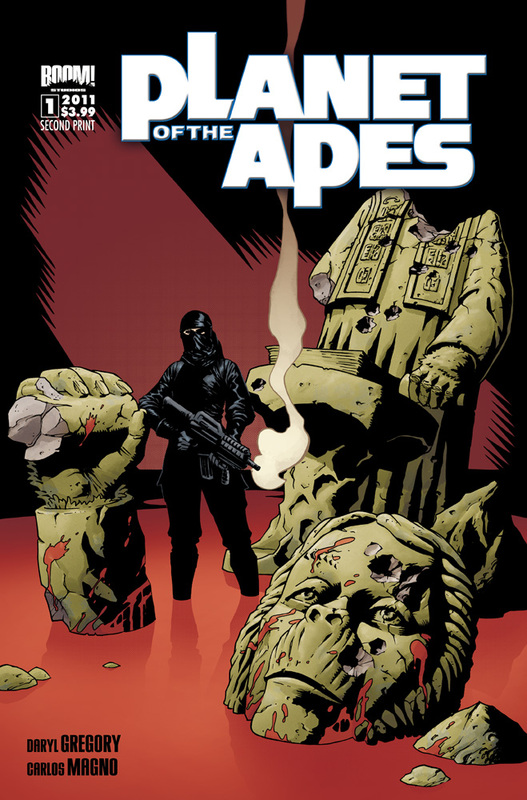 Damian was one of the artists on Dracula: Company of Monsters, and I feel very lucky to have him also drawing some apes. Now all we need is to get that Planet of Vampire Gorillas series going. Meanwhile, the virtual press tour for Apes is still in progress. You can listen to my interview with Sohaib at Fictional Frontiers, or my conversation with John Suintress of the Wordballoon podcast. And reviews keep rolling in, including this one from Film Buff Online that points out I started issue #1 just like Bill Willingham started Fables. Hey, I only steal from the best. Other reviews (and pretty glowing ones at that) came in from Comic Book Resources (4.5/5 stars), IGN, Major Spoilers, My Comic Network, Inside Pulse, and tons more — Cosmic Book News, Invest Comics, HyperGeek…. you get the idea. I’m just happy for the exposure. And now that it’s warm outside, I won’t die of it.